EXP Modules Archives - SLN Technologies Pvt Ltd. The M441R module is a low-cost, high-performance CAN interface board that provides access to a wide range of CAN applications for PC/104 systems. The module is based on the Intel® CAN controller 82527. The 82527 controller is a highly integrated device that performs all serial communication functions such as transmission and reception of messages, message filtering on extended message frames, transmit search and interrupt search with minimal interaction from the CPU. 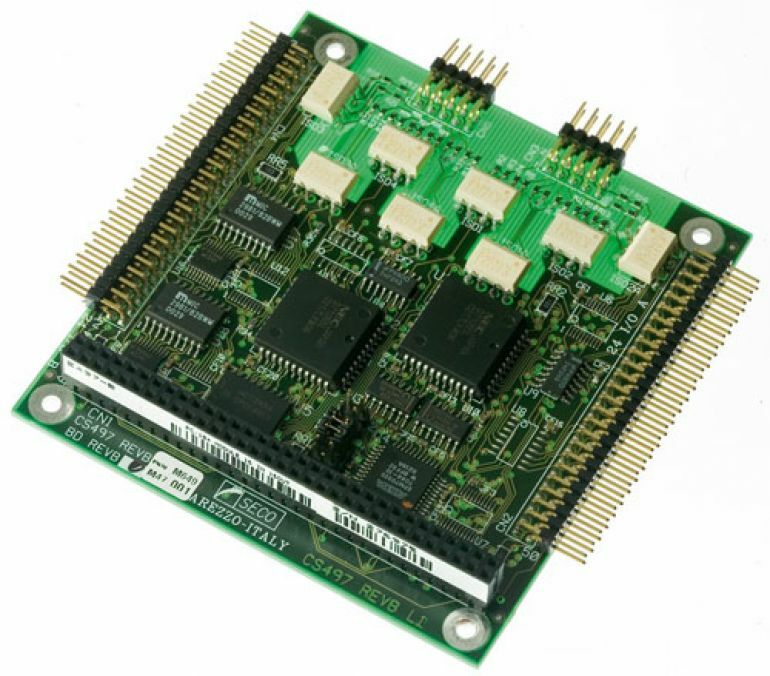 The M442R module is a low-cost integrated module which offers the chance of expanding the communication possibilities of a PC/104 based system. The M442R module integrates 4 serial ports: two of them are RS-232C standard serial ports in a Full Modem configuration. The M520R module is a Compact Flash type PCMCIA card adapter in PC/104 format. Available with a single or dual slot it integrates on board the VG-PD6722 controller, therefore no additional external controller are needed.